I shall be performing with Sarah Wilcox on flute in the cosy and intimate setting of La Tour Cycle Cafe. The details are all below. 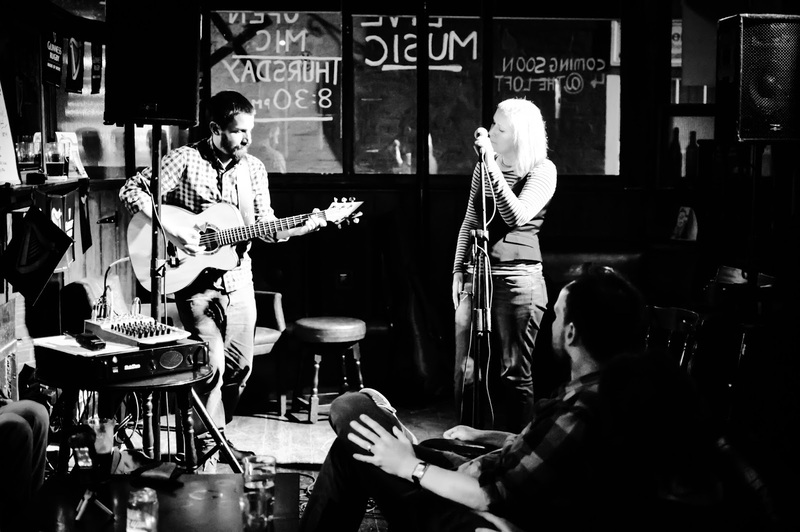 It's really exciting to be performing these songs again in simple, acoustic arrangements, that I hope give listeners the space to drift off into their own worlds and come away feeling content and relaxed. Take a look at the official video on the video tab. 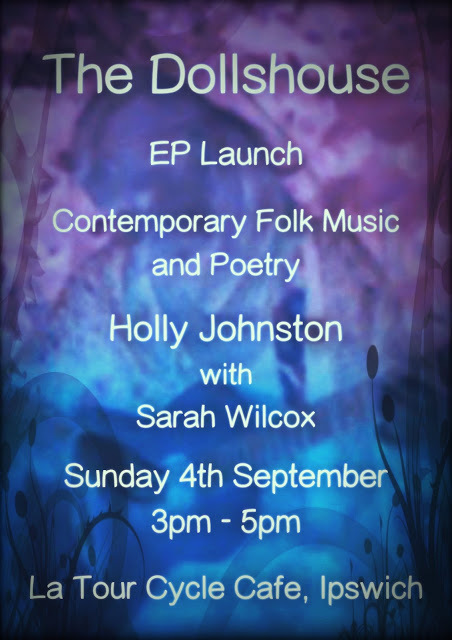 Come along and hear some music and poetry with tea and cake! 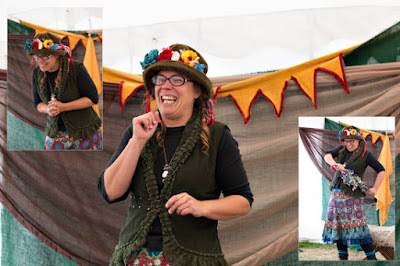 'Toad Woman' was created after speaking with five fantastic storytellers about their way of telling stories. I've looked at their interviews next to the academic books that on the shelves and here are some of the comparisons I've found. All of the tellers I interviewed have very different styles of storytelling. Some consider themselves to be ‘fireside’ tellers, whilst others draw on comic or educational factors as a big part of their storytelling practice. Here are some quotes from the participants that demonstrate some of their creative practices within their telling and align them to different academic writings. 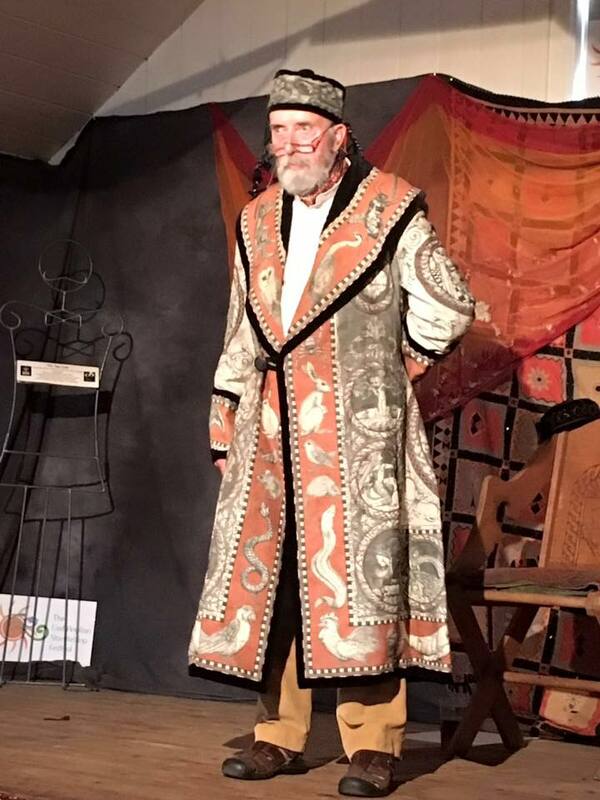 Taffy Thomas (MBE) spoke with me at the East Anglian Storytelling Festival in 2015, and on receiving the interview transcript he sent me a card saying ‘you brought some of the best of me in that interview’. Taffy talked about his place within a ‘living oral tradition’ one that he considers to be a folk art rather than a performance: ‘Do not underestimate the power of understatement!’ Taffy said that a storyteller needs to split their brain in half and on one side is the story in a sequence of pictures, on the other side is the language available to you to describe that story in the best way for that audience. 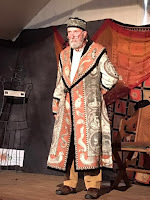 Taffy has hundreds of stories in his head and the famous ‘Tale Coat’ from which his audience can choose a picture, leading him to tell them a tale. He said that he most loves the inter-generational telling, where you have to speak to a 6 year old and their grandparent in the same sitting and they both need to be engaged in the story. He emphasized that in storytelling every single performance of that story is different and that it is a two way process in which you engage the listener in a conversation and they take it home with them, where the story carries on working. Taffy seemed to align his views with Kroeber (1992) in saying that the audience is as important in the telling of a tale as the teller and indeed the story. He said that stories teach us so much and we grow with our stories. Suzanne Arnold mirrored Taffy’s views on the power of story to carry on working for the listener long after its telling. Suzanne talked about the healing power of story and of story medicine. She said that she metamorphosed into a story teller ‘like wearing a skin that you one day can’t take off’. 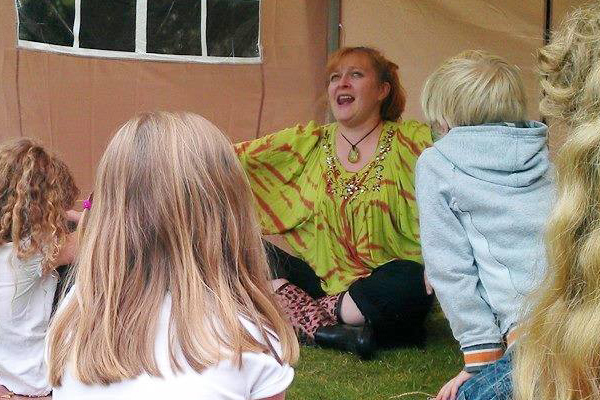 Being a storyteller is a responsibility and one that she has come to understand more over the years. For this reason Suzanne chooses stories with a positive outcome, not necessarily a happy ending. She has characters in her stories that are brave or beautiful on the inside because you ‘can empower and help people believe in themselves through something like a story’. 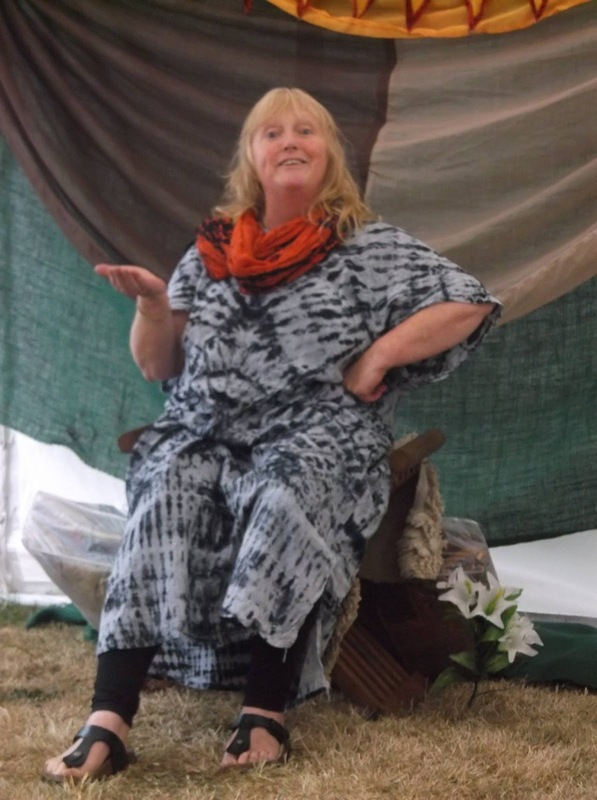 Suzanne has studied storytelling and said that there are many methods, some that she uses and others she just passes on to others. 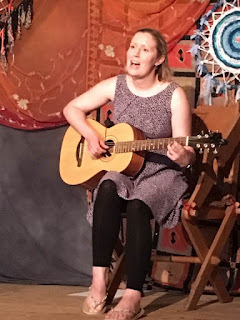 Suzanne said she took a long time to be able to do ‘bare bones’ when learning a story – she felt so strongly that she wanted to be true to the text. As she has developed as a teller she feels more able to change and adapt stories to tell her own truth. She feels that if she looks back, she was often telling her own story and didn't always see it at the time. I found Suzanne’s discussion of telling your own story very helpful when embarking on my own story telling. It was Suzanne’s suggestion that I write my own story that led me to consider ‘Toad Woman’ as a character. Suzanne described storytelling as creating a bubble that comes over the teller and the audience and when you say ‘they lived happily ever after’ the bubble pops! Dave Tonge came to storytelling from a history background and the power that story has to bring history to life. 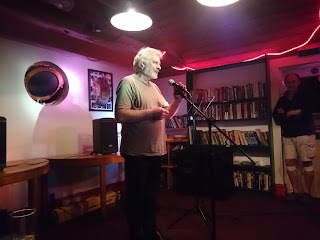 Dave feels that an element of mystery and the unknown surrounding the storyteller helps in the telling of the story and as the ‘wandering yarn smith’ instead of selling pots and pans he is selling his tales. Dave often tells at heritage sites where people have no idea what a storyteller is or what to expect. He says he sometimes has to drum up an audience or encourage them into his tent, but in the end ‘I just tend to treat every audience as if its my audience regardless’. Dave said that storytelling is not acting, although he likes the ‘bigness of it’, ‘it’s a two way thing…a shared experience’. Dave feels that you can go through a lot of stories before you find the right story. He tends to get his tales from historical texts or court records and he has recently written a book of ‘Tudor Tales’. Dave said that for him it is about getting ‘bigger, deeper stuff across’ and being relevant, even though its old tales in archaic language it can jolt people or allow them to escape the real world for a little while. This suggests the ‘flow’ achieved through listening to stories (Wischner, 1991). Gerry Donlan tells in a very conversational manner often ending with a punch-line. He writes poems and funny limericks and leads groups in poetry walks in woodlands or toad patrols. He said he started a storytelling group because it was too cold and wet in the winter to do the poetry walks. Much of what Gerry does is about building community and bringing people together. He said ‘I couldn’t be a script writer… I find it difficult to write things down, but I can tell standing up in the club or whatever and when I’ve finished it I’ve written a novel’. Gerry said that he gets inspired when he walks in the wood, or something might happen and he thinks ‘what if? Why was it there?’ and he makes it into a poem or a story: ‘I like real life stuff, I can get things out of it’. Gerry emphasizes Rosen’s (1982) writings about storytelling being a social transaction and has the power to create change. It is interesting that some of the tellers I spoke to will write their own stories while others see themselves solely as collectors and keepers of history. Much of the literature focuses on tellers collecting tales, but does not emphasise the creation of a story to tell. Justine De Mierre is a teller who collects or writes her own tales. ‘Sometimes I write stories because I feel there’s something that needs to be said and there wasn’t a story that said it’ she states. ‘Or sometimes you have to change a story so that it has the same impact it would have had on the original audience’. Justine describes herself as a ‘story maker and a story listener’ as well as a teller. She is passionate about bringing new audiences to storytelling and feels that this is needed if you want the tradition to live on. 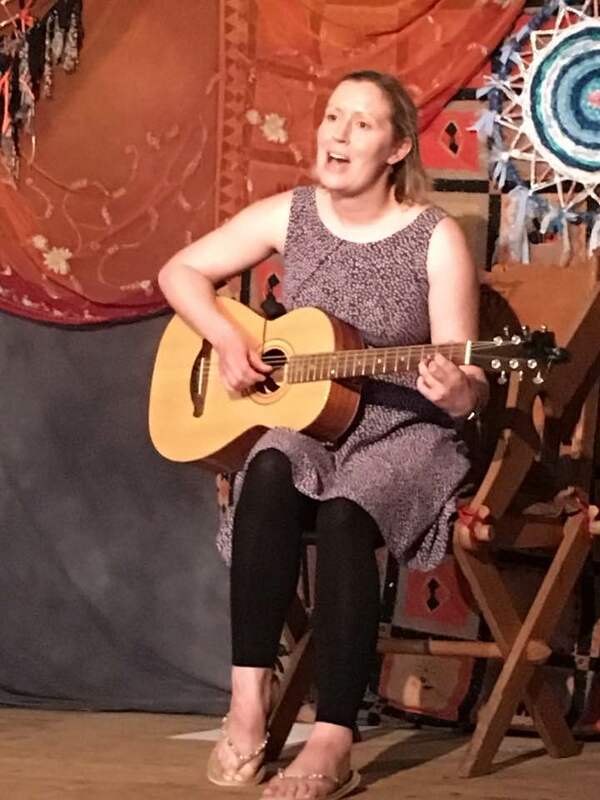 She says that she always tries her new material out at open mic’s or pubs because she wants anyone to be able to find a way into it, even if they weren’t expecting it. Justine also emphasized that moment in the telling of a tale when the listener may question some of their beliefs or stereotypes, she said that you sometimes get that magic moment where you can slip in an idea. This very much mirrors the non-westernised ideas about story and its power to remake cultures and create a ‘free space’ (Turner, 1989). After interviewing all five tellers I transcribed and absorbed what they had said. I decided that I wanted to write my own story for my project, but that I wanted to base it loosely on the ugly duckling and a quest to find acceptance. This is what led to the 'Toad Woman' tale and to the final performance that you can see performed live. Thank you to Taffy, Suzanne, Dave, Gerry and Justine - For your generosity of your time, talent and wisdom! 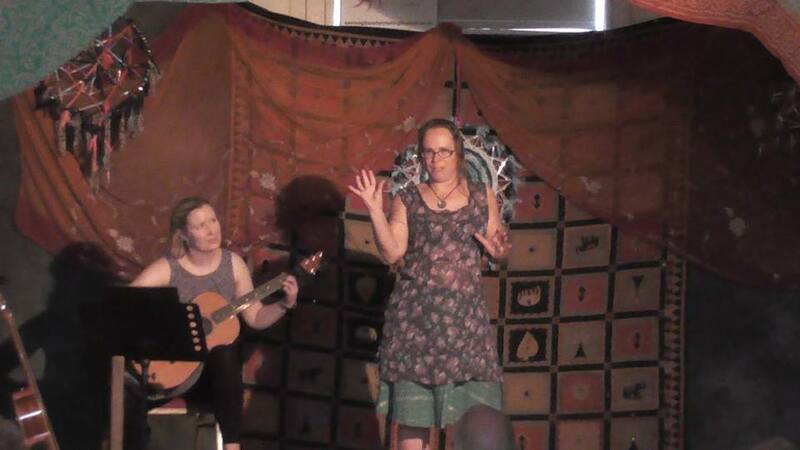 The 'Toad Woman' Song Story is a 30 minute show that came out of arts based research for my Masters Degree. I had a great time collaborating with a new guitarist Jon Coy, and working with the Toad Woman team for the first ever performance of this new piece.